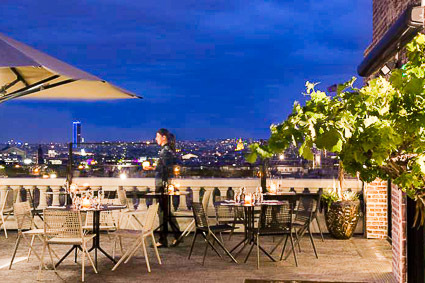 Le Terrass" is a great place to splurge if you're on a honeymoon or romantic getaway weekend. 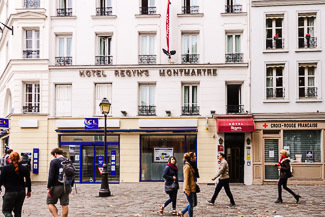 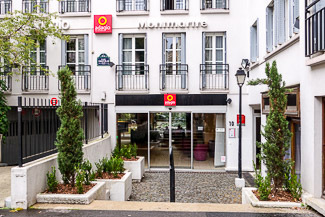 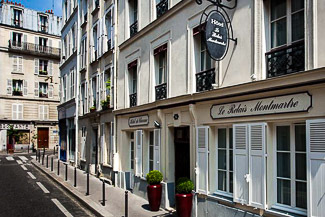 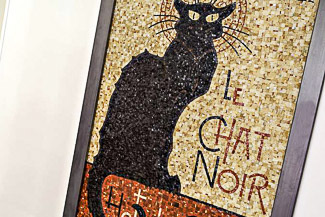 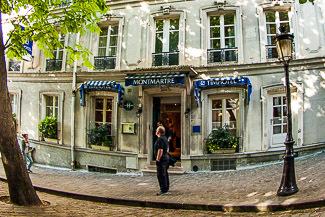 The 92-room hotel is on the western side of the Butte de Montmartre, a two- or three-minute walk from the area's most popular cafés and restaurants. 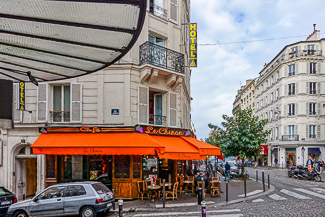 Public transportation is nearby, too: You can choose from Métro stops at Blanche (Line 2) or Abbesses (line 12). 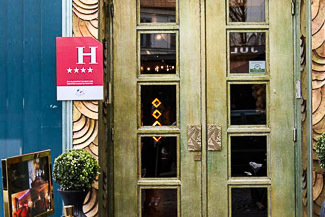 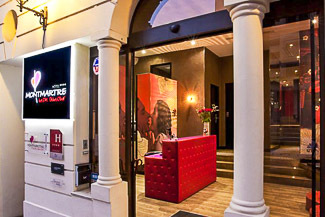 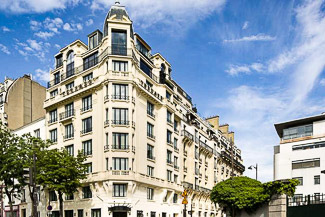 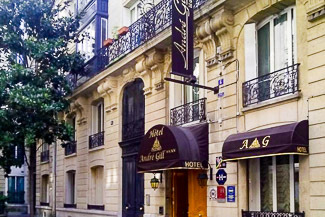 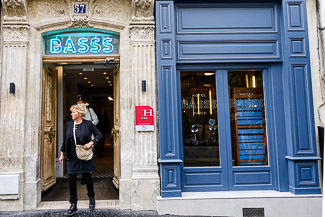 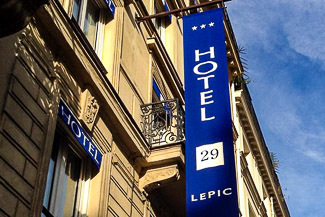 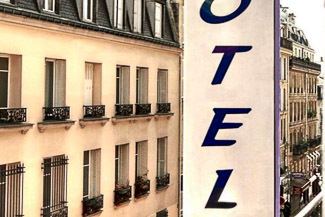 The Hotel Basss by Happyculture is on the Rue des Abbesses, the main east-west street below the Butte of Montmartre. 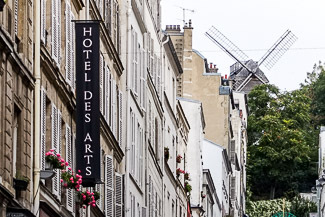 From the hotel entrance, you can walk to the village's best bakeries, any number of café-restaurants, small shops, and the Abbesses Métro station on a tiny square with an old-fashioned carousel. 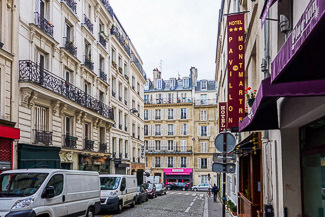 Each studio or apartment has a small kitchen area, and breakfast is available on request. 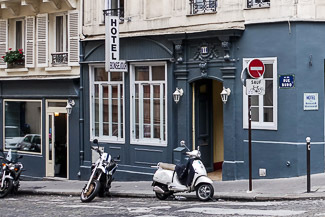 Wi-Fi is free, but the lack of air conditioning may be annoying in the summer months.